It’s time for bed and the boogeyman is out to get you! Can you escape your nightmares? 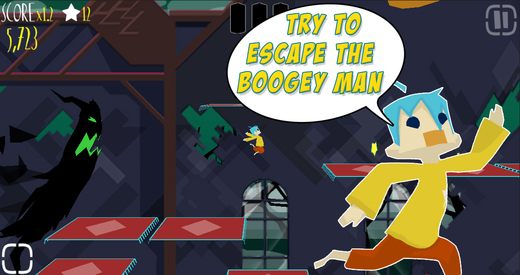 Boogey Boy is a 3D side-scrolling runner. Escape the boogeyman by collecting batteries to activate your flashlight. Play through the boy's dreamworlds, dodging strange and bizarre enemies. Activate special powerups to help the boy escape from the terrors of the night. 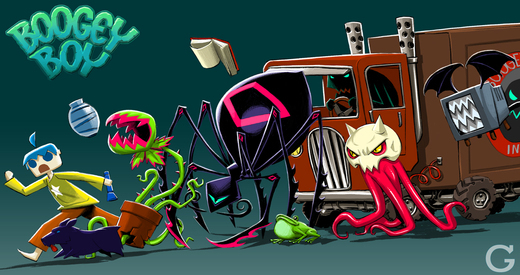 Play story mode to escape and defeat the boogeyman. Play arcade mode and go for the high score. Make your way through five wild, whimsical stages. The stages are random every time. Every play is new and exciting! 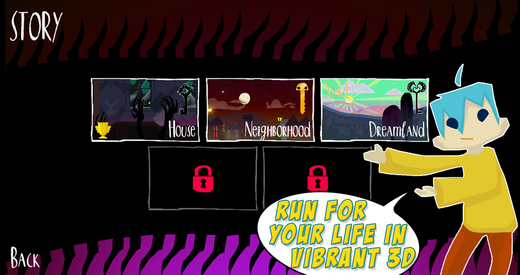 Defeat the monsters of the night with five different power-ups. Use powerups to change the way you play! Just kidding. Pay once, play forever!